Chronically painful, achy, swollen joints can make day-to-day life a struggle, and we want to help. 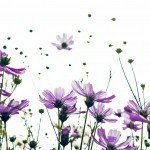 We regularly talk to our customers about the top nutrients and herbs which can be helpful, alongside support for other body systems which can have a knock-on impact on our joint health, namely the state of our gut, nervous system, and immunity. 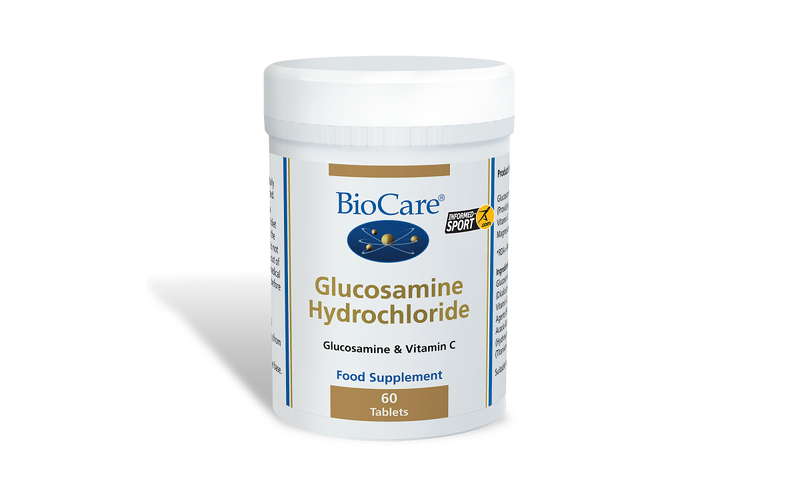 Glucosamine is a key component of complex molecules called glycosaminoglycans (GAGs), which are crucial building blocks of cartilage. 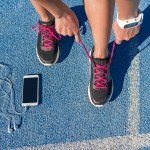 Cartilage is a type of connective tissue within joints, which helps to facilitate movement and protect joints from ‘wear and tear’. MSM stands for a compound called methyl sulphonyl methane, which is a great source of sulphur. Glucosamine needs to have sulphur added on to it to form chondroitin sulphate, a type of GAG abundant in cartilage. Vitamin C contributes to the formation of collagen, the main protein present in cartilage and bone. It therefore contributes to the normal function of these tissues, as well as gums, skin, and teeth. 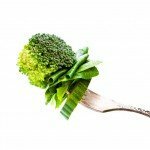 Zinc and manganese work in synergy with vitamin C. Zinc supports protein synthesis, and manganese contributes to the formation of connective tissue. 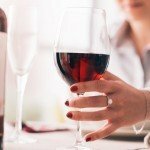 Both of these minerals also contribute to the maintenance of bone structure. 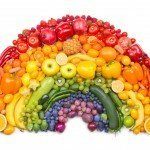 Zinc, vitamin C, and manganese all protect cells from oxidative stress, which can otherwise degenerate their structure and function. 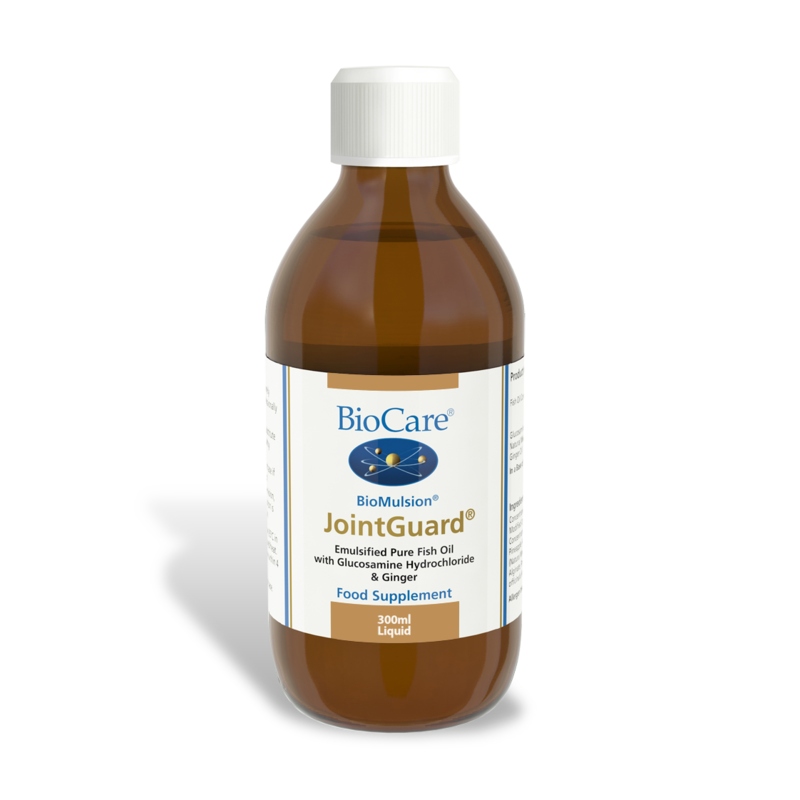 Glucosamine Hydrochloride provides a good level of glucosamine in the well-absorbed, well-tolerated hydrochloride form, alongside vitamin C and magnesium. 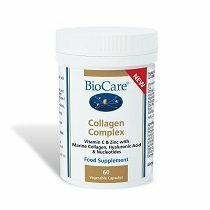 Magnesium works synergistically by contributing to normal protein synthesis and bones, while vitamin C supports collagen formation. 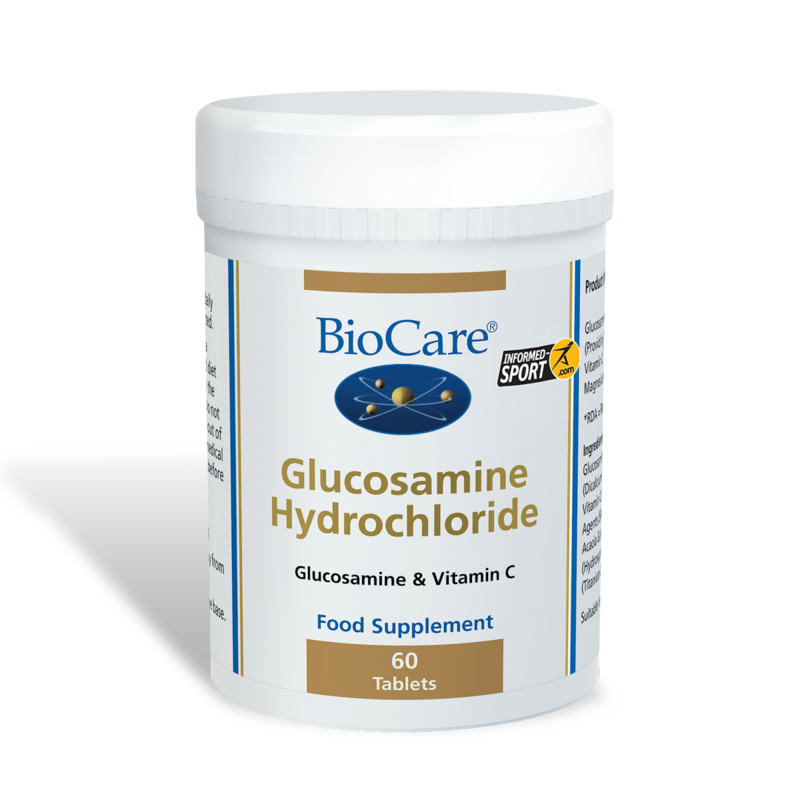 The glucosamine is from a non-shellfish source, which allows this product to be vegetarian and suitable for those with a shellfish allergy. This product has been tested by the World Anti-Doping Agency (WADA) who have approved it for use by professional sports people and enabled it to obtain the Informed Sport accreditation. 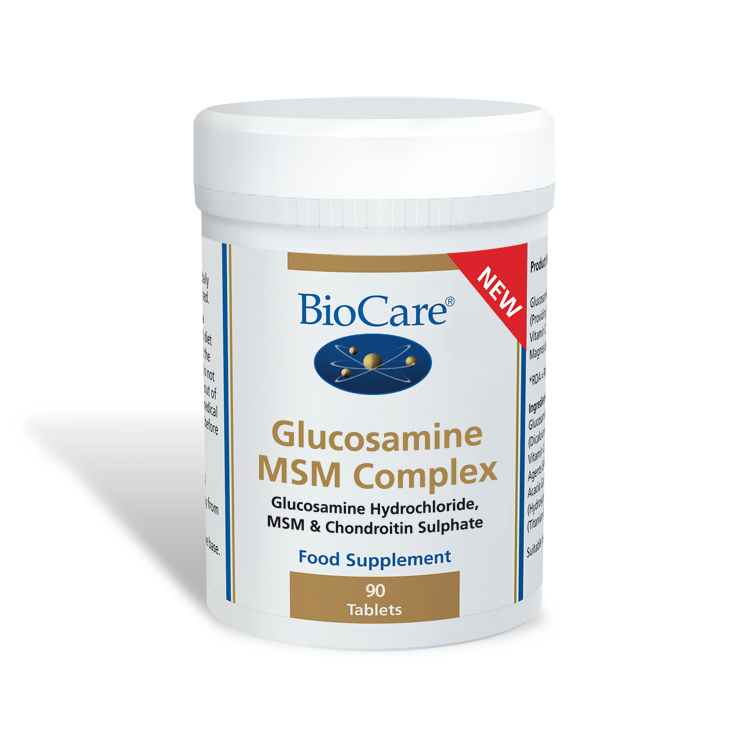 Glucosamine MSM Complex combines the optimal level of actual glucosamine (as hydrochloride) with MSM and chondroitin sulphate to make it a high strength complex, which may provide more comprehensive support. 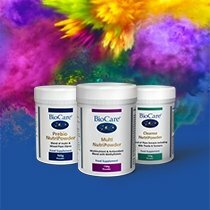 BioMulsion JointGuard® is a unique combination of pure fish oil providing a high dose of the essential fatty acids, eicosapentaenoic acid (EPA) and docosahexaenoic acid (DHA), as well as glucosamine hydrochloride, vitamin E, and ginger. We use pure fish oil derived from anchovies and sardines which has been naturally concentrated using our patented NEO-3™ process which utilises lipase (fat digesting) enzymes, and then emulsified for optimal absorption in the gut and stabilised using our ‘Multox’ antioxidant system. 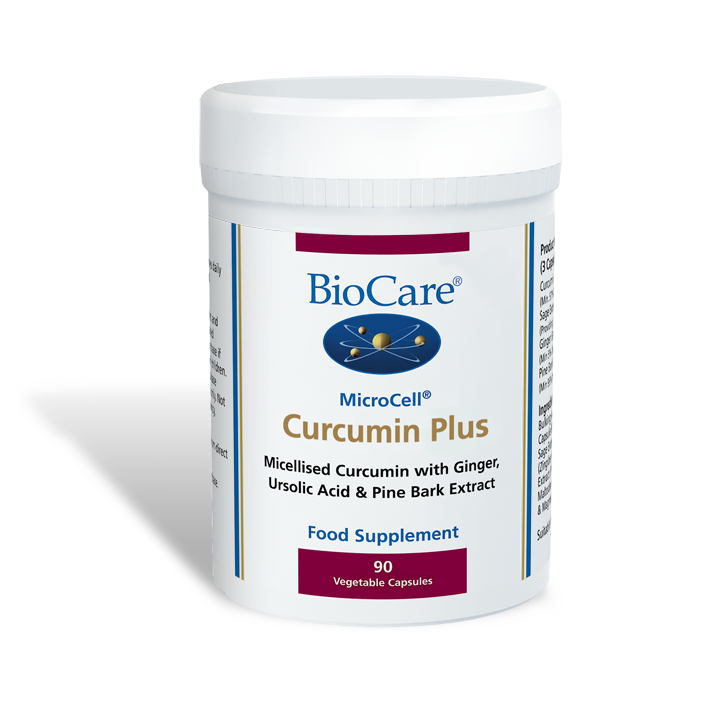 MicroCell® Curcumin Plus is a potent combination of plant nutrients, including curcumin (from turmeric) and ginger, alongside ursolic acid from sage and pine bark extract. These potent phytonutrients are delivered in a micellised form to increase the absorption and effectiveness of these nutrients. All of the ingredients are vegetarian and vegan friendly. 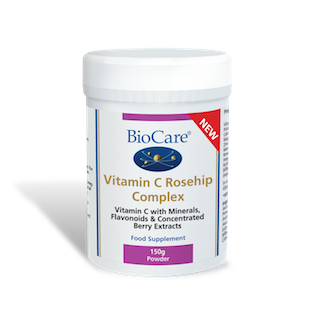 Vitamin C Rosehip Complex is a great-tasting, everyday powder supplement which provides a high dose (1g) of vitamin C per scoop in the well-tolerated magnesium ascorbate form for general collagen, immune, and antioxidant support. 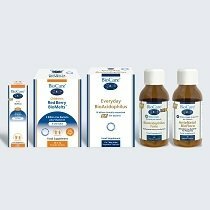 It also contains rutin, hesperidin, bilberry, rosehip, and minerals such as zinc and manganese to make it more rounded and comprehensive. Rosehip has traditionally been used as a nutrient dense and therapeutic food, which is a rich source of vitamin C, B vitamins, and a wide range of phytonutrients. It can be readily combined with any of the above supplements and mixed into water or added to a juice or smoothie.